Please read all the terms and conditions before placing the order. Purchasing or refunding is treated as fully agreeing with all the rules. Celebration of the 1st Decade! 2019 Golden Horse Fantastic Film Festival (GHFFF) will take place in Taipei between April the 12th and April the 21st. This year’s KV is designed by renowned illustrator Ahn Zhe, and moreover, the eminent Astrologist Jesse Tang is invited as Fantastic Ambassador to welcome the audience for the ultimate movie experience at GHFFF. The 2019 GHFFF opens with Over My Dead Body, the latest production by director Lee Chung (The Laundryman, nominee of Best New Director at Golden Horse Awards). The full line-ups cover the first-ever sci-fi movie in film history, A Trip to the Moon, on big screen in celebration of the 50th anniversary of moon landing, as well as new sections like SCI-FI WORLD and HUNGARIAN RHAPSODY. Also included are the sections NIPPON CHA CHA CHA, AIN'T NO CURE FOR LOVE, MIDNIGHT FEVER and CINEPHILES' CHOICE, a panoramic selection of all genres. The GHFFF also proudly presents the films by American Horror master John Carpenter, and introduces the double midnight marathon: the Apocalypse Trilogy by John Carpenter and the four of Alien sequels. The signature party-all-night sing-along will feature the Oscar-winning Bohemian Rhapsody, and audiences’ choice La La Land and The Love Eterne, turning the theatre into a giant karaoke, along with the all-time favorite The Rocky Horror Picture Show, ten years in a row. The cinematic feast GHFFF is a carnival for your eyes & your minds and of course, lots of fun guaranteed! Available from Apr 12 (Fri) to Apr 21 (Sun). Available from Mar 31 (Sun) 13:00 to Apr 11 (Thu) 23:59. Available from Mar 31 (Sun) 13:00 to Apr 21 (Sun). For elderly over the age of 65 and the disabled. Please present a valid ID at entrance. Patrons unable to present proof of eligibility are required to pay regular price. Available from Mar 31 (Sun) 13:00. Valid only for the screenings of The Rocky Horror Picture Show. Valid only for the screenings of Carpenteresque All Night, Alien Four The Night Marathon Screenings. Valid only for the screenings of La Flor at Apr 20 (Sat) 10:10, Apr 21 (Sun) 12:50, Apr 21 (Sun) 18:50. Ticket refund must be claimed the latest on Apr 17. Valid only for the screenings of La Flor at Apr 22 (Mon) 13:00, Apr 23 (Tue) 13:00, Apr 24 (Wed) 13:00. Ticket refund must be claimed the latest on Apr 19. All tickets are sold on a first-come-first-served basis. Please carefully keep the tickets as they are the only proof of purchase for screening entrance and will not be reissued if lost or damaged. Children with height 100 cm or over must purchase Concession ticket for entrance. Barrier-free seat availability is limited. Please make a reservation by phone in advance (02-2370-0456). 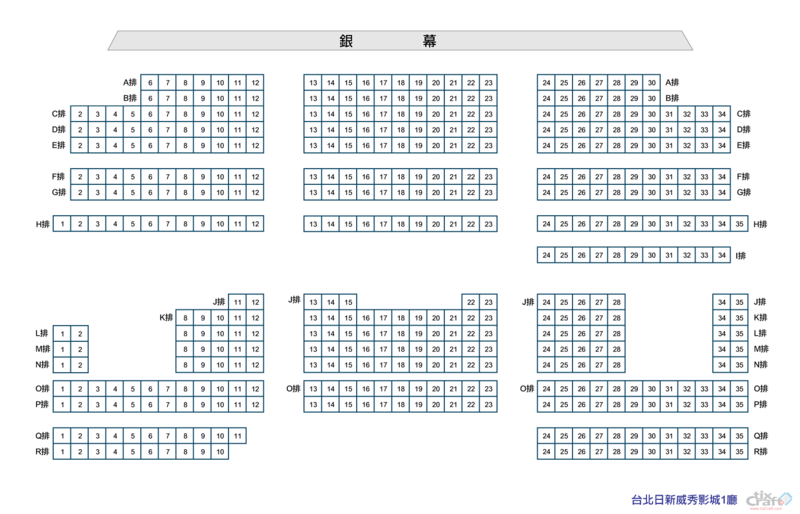 Barrier-free seat is unavailable at Taipei Shin Kong Cinemas 3. To manage screening quality, latecomer will NOT be admitted to the screening up to 20 minutes after the film begins, and the ticket is thus NON-REFUNDABLE. Please obey the rules for eating/drinking at the venue. The venue will be cleared after each screening. Please take care of your personal belongings. Safety first. Occupying the aisle or non-appointed seat is strictly prohibited. All rights of the films belong to the copyright owners. Photography or video/audio recording during the screening is strictly prohibited. The festival reserves the right to request for deletion of such illegal files. Film information listed in the program book is up-to-date at the time of publication. Any further change (running time/rating …etc.) will be announced on the festival official website and at the venue. Running time does not include Q&A session before or after screening. Film rating may change (after publication) due to audit by Ministry of Culture. Audience fail the eligibility to the screening because of the rating change may request full refund for ticket bought beforehand. The festival reserves the right to change the program. Early Bird tickets may be purchased online only. Please register as Golden Horse member at festival official website www.GoldenHorse.org.tw before making the purchase. Please avoid operating the system with multiple windows or devices. Each online order must be confirmed within 10 minutes. Overdue orders will be dismissed and cancelled. Each order may contain a maximum of 8 tickets. Tickets can be purchased online up to 2 hours before screening. Within 2 hours before screening, tickets may only be purchased at the festival ticket booth. *Failed orders will be automatically cancelled by the system. Please re-purchase the tickets. The system automatically creates a temporary account for each order and its payment. Payment is due 10 minutes before the next hour after the order has been completed. Overdue orders will be cancelled. Example: Order made between 13:00 - 13:59 must be paid before 14:50. Transaction fee will be charged for transfer other than Cathay United Bank (debit card/ATM). The system only accepts card issued in Taiwan; overseas remittance not accepted. 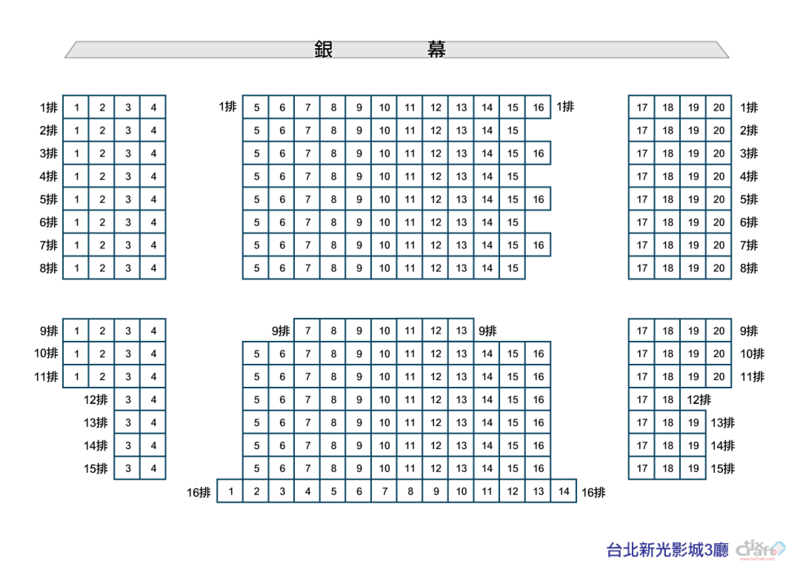 Print out the tickets before screening at self-service kiosk with your QR code or Pickup Serial Number and Pickup No..
Taipei Golden Horse Film Festival Office, everyday between 12:00 - 20:00. Festival ticket booth at each venue, opens 30 minutes before the first screening of the day and closes 20 minutes after the last screening starts. During the festival (Apr 12 - Apr 22), tickets can be purchased at festival ticket booth on each venue. The booth opens 30 minutes before the first screening of the day and closes 20 minutes after the last screening starts. Ticket refund must be claimed at least 3 days before the scheduled screening. *La Flor Weekend Screenings: the latest on Apr 17. *La Flor Weekday Screenings: the latest on Apr 19. A 10% processing fee will be charged per refunded ticket. 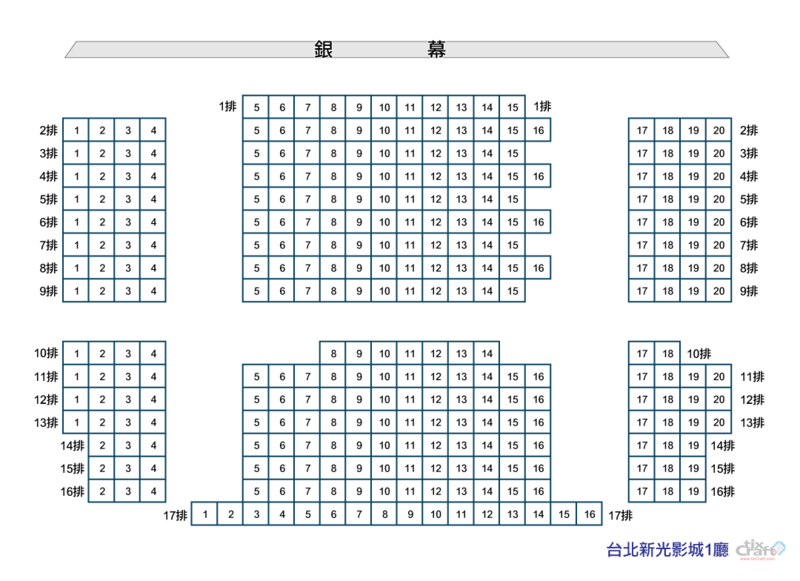 Before the festival (Apr 1 - Apr 11): Taipei Golden Horse Film Festival Office, everyday between 12:00 - 20:00. During the festival (Apr 12 - Apr 22): Festival ticket booth at each venue, opens 30 minutes before the first screening of the day and closes 20 minutes after the last screening starts. Ticket exchange is deemed as ticket refund. Patrons who want to exchange their tickets must follow the refund rules above.